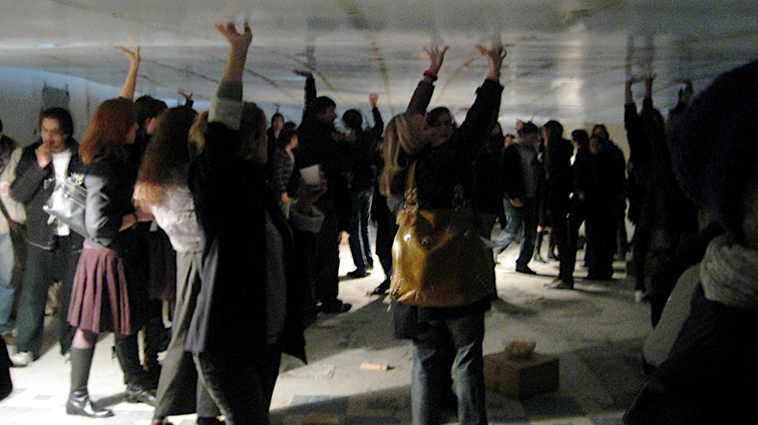 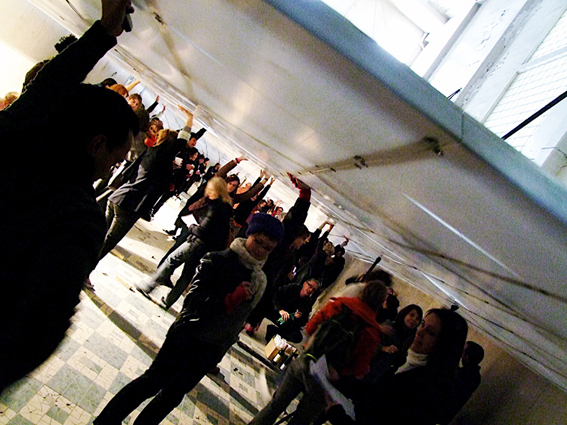 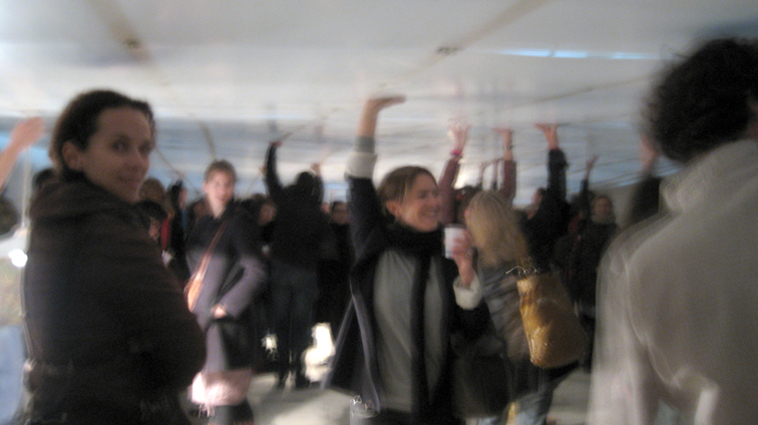 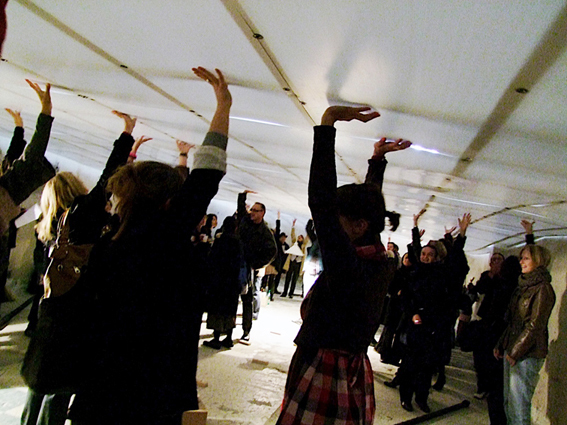 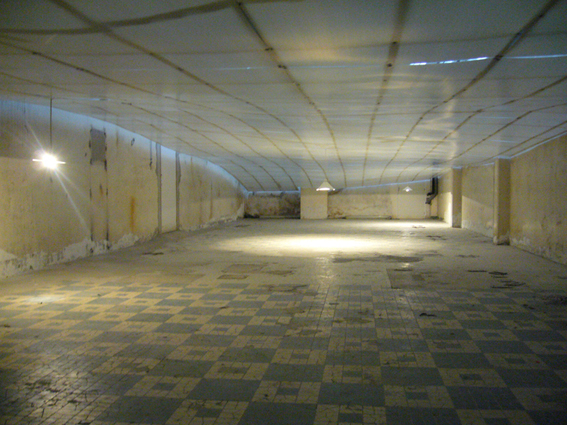 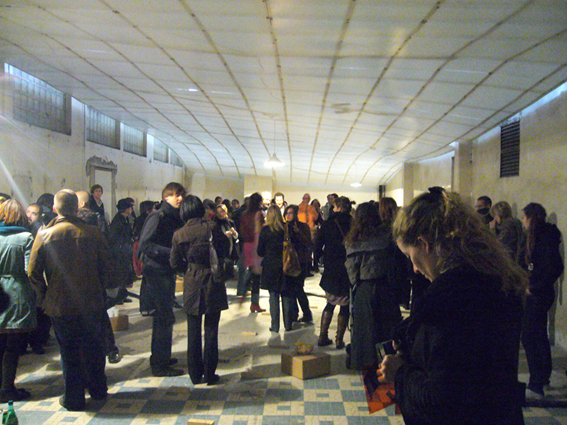 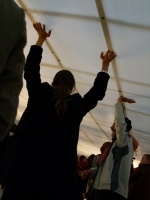 During the opening the ceiling suddenly falls on the public's head. 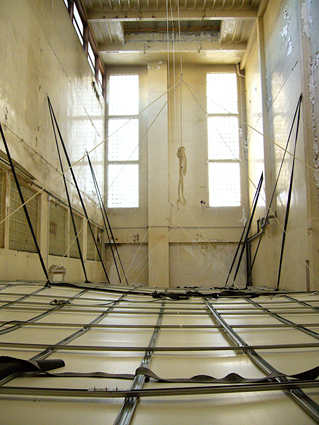 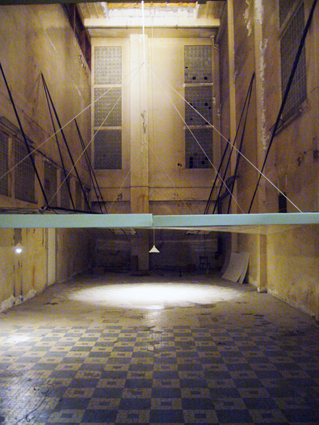 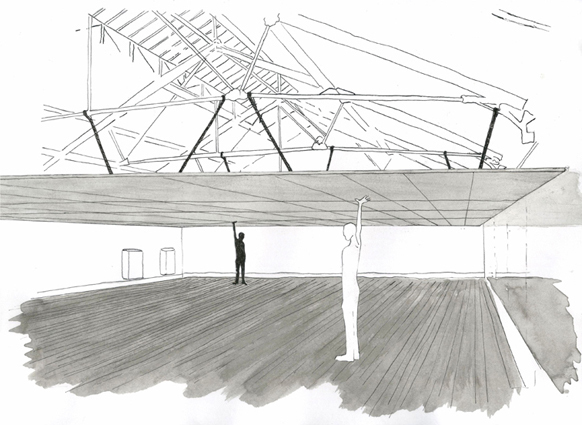 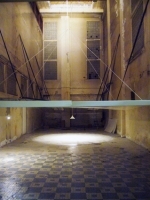 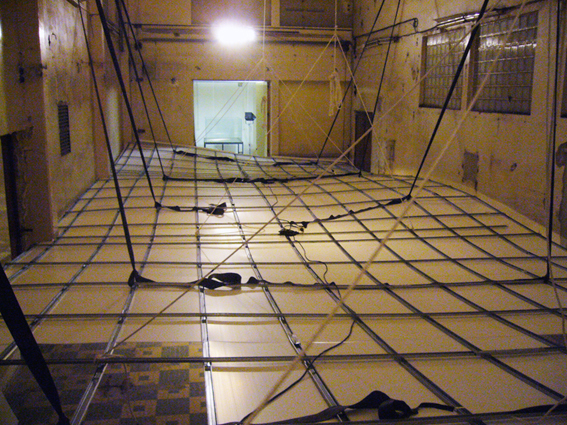 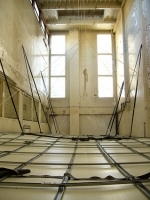 The artist acts as counterweight, regulating the height of the ceiling through ropes and pulleys connected to his harness. 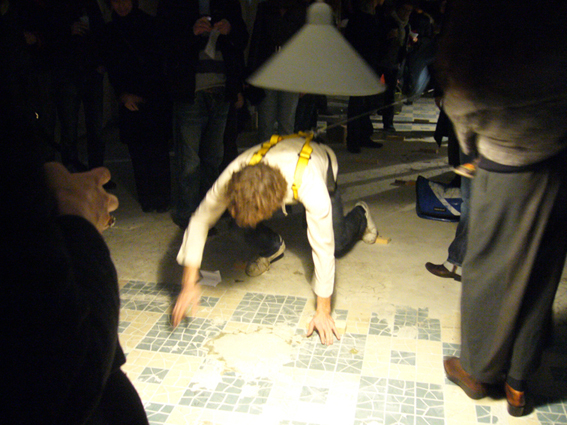 The way of gravity attraction force switches horizontally.The performance ends after the artist has crossed the space and switched the light off. 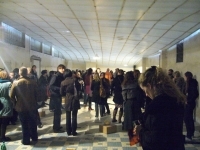 special thanks : team of l'Échangeur, students from Fine Art School of Reims, Albert Morelle, Pierre Lelay, Jeff Garraud.